Tennessee Education Report | When are Teacher Strikes Coming to Tennessee? This entry was posted in Bill Lee, School Funding, Teacher Pay and tagged Andy Spears, School Funding in Tennessee, Teacher Pay in Tennessee, Teacher Strikes, Tennessee Teachers. Bookmark the permalink. For years, I have been told that it is illegal for teachers to strike in Tennesse because Tennessee is a “right to work” state. According to administrators, Tennessee public employees are not allowed to unionize therefore striking is illegal. Is this the truth? Or propaganda created to keep teachers in line and in poverty? Teachers are in fact allowed to join a union — and many are members of the Tennessee Education Association and local affiliates of the TEA. Yes, striking is technically illegal as noted by George Nerren, above. However, please note that in other states (KY, OK), striking is also illegal — and those states saw massive demonstrations. 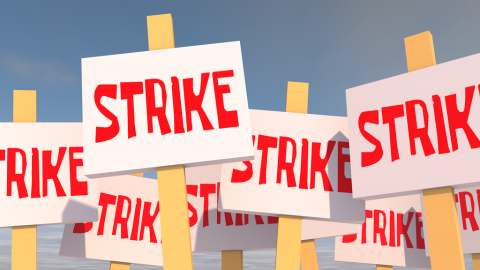 If an entire school…or district — or state — went on strike, what would happen? Would your district fire all the teachers? Would individual districts take all the teachers to court? Kentucky teachers took sick days to create a nearly statewide “sick out” during the pension fight last year. Those teachers were not fired. To answer your question, Beth, collective action builds power and those telling you “not to strike” are not on your side. TCA 49-5-606 (b) (4) states that engaging in a strike is an unlawful act. Further TCA 49-5-607 states that if the chancery court rules that a strike has occurred, employees may be subject to dismissal and shall forfeit their claim to tenure status and revert to probationary status for five years.